Welcome to the Kaiserslautern Chapter! Origin Story: With growing up in a small town in Germany, it wasn’t easy for Barbara to start her geek career. It all started at the age of eight with the Harry Potter books and the Star Wars movies she watched with her parents. Later, Barbara became a real Gilmore Girl: she reads (and collects) all kind of books, is coffee-addicted and is always ready to share geeky trivia. Unlike the Gilmore Girls, she is also a huge sports fanatic – she has been playing soccer for over ten years and loves watching American Football (Go Pats!). One day she will be living in New Zealand where her favorite childhood TV series „The Tribe“ was created. Until this dream is coming true, she is busy with binge-watching Netflix, volunteering at the local library and travelling whenever possible. 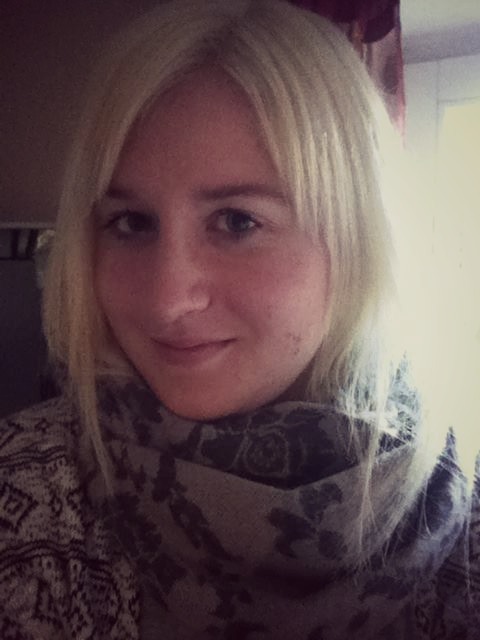 Barbara is the first German officer of the K-Town chapter and she is excited to have more German Geekettes joining GGB. Fandom Crush: Jay (The Tribe) & Four (Divergent). Oh and I adore Magnus Bane! al in a kitchen, she spends her time bingeing on Netflix, cuddling her two cats (Loki and Noodles), playing boardgames and browsing Reddit. One of her greatest achievements in life, as a proud Ravenclaw, is managing to convince her boyfriend to watch the Harry Potter series, and is currently working on getting him to listen to the audiotapes. Geeky Loves: Harry Potter, LotR (books and films), GoT (books and films), Supernatural, RuPaul’s Drag Race, Chuck, Marvel Films and Series, DC TV Series, and of course Disney!